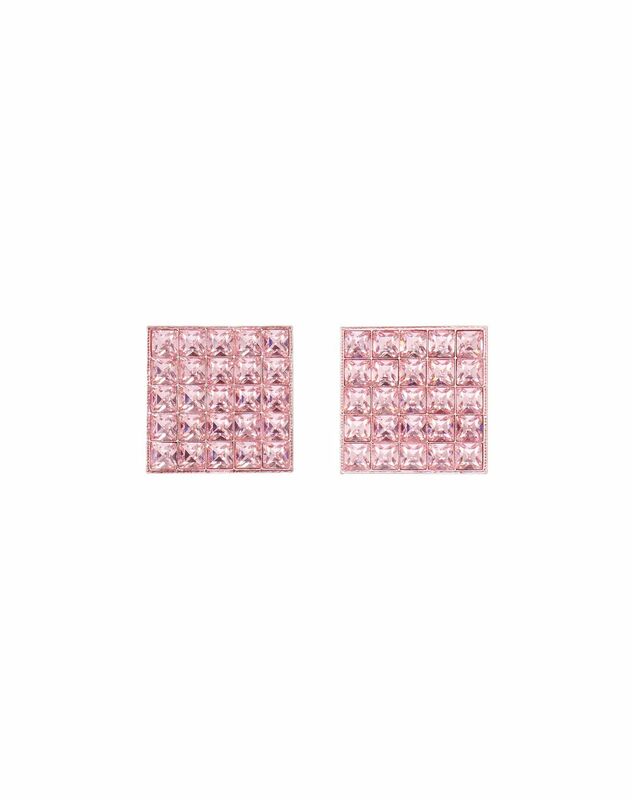 “Luxbox” square earrings in pink plexiglass, diamond detail in Swarovski crystals, and a clip back. 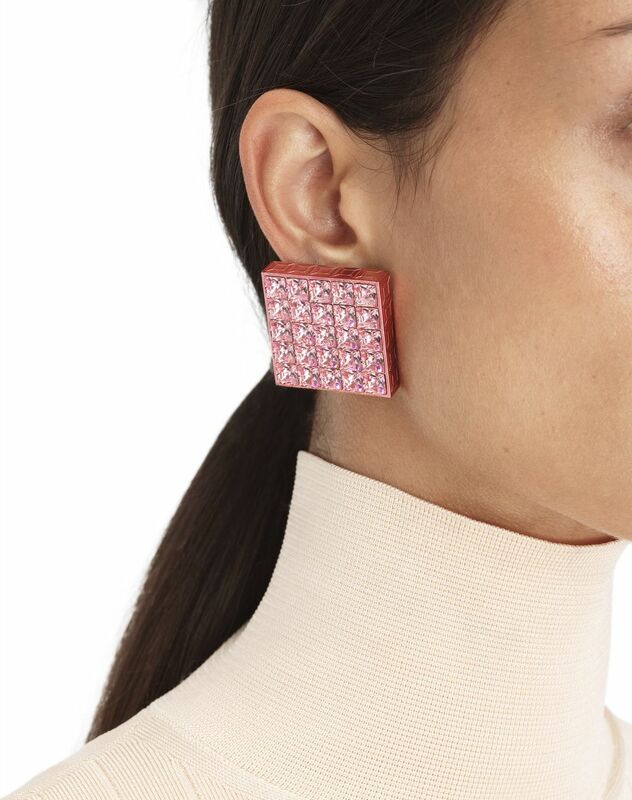 Featuring vibrant colors in a square shape, these earrings add a bold touch to the silhouette and accessorize your look with graphic, contemporary flair. Main material: 100% brass. Secondary material: 100% plexiglass. Other materials: 100% glass. 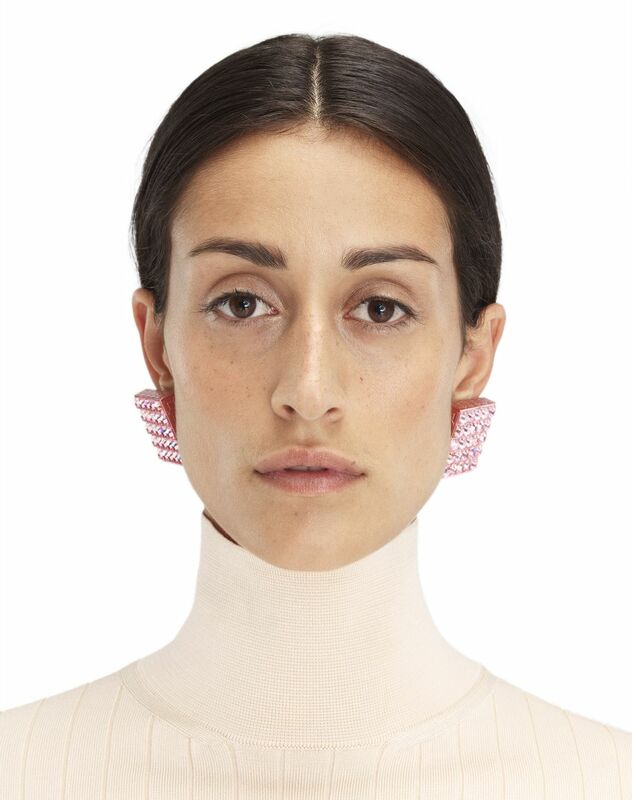 Back: clip Made in France.